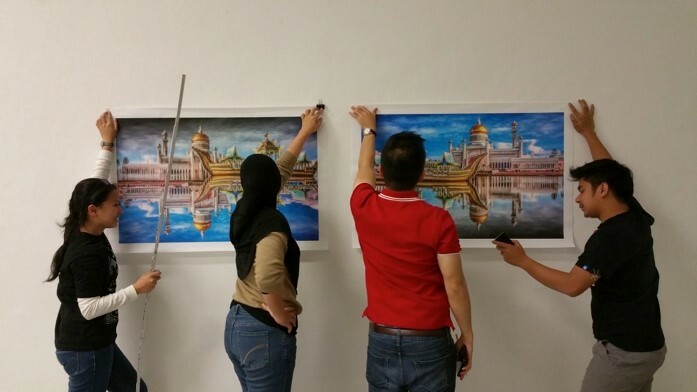 International Art Moves (IAM) Exhibition: Brunei Calling was the first international art exhibition to be organized jointly by Culture.net, an international network of art schools and academies, and Faculty of Arts and Social Sciences, Universiti Brunei Darussalam. 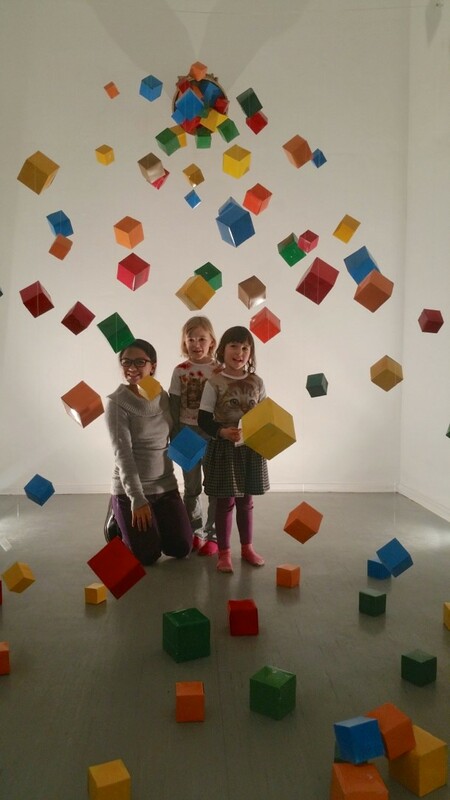 This international art exhibition was professionally curated and displayed in the famous Kunstquartier Bethanien (Bethanien Art Centre) in Berlin, Germany, from 14 to 22 February 2015, and offered visitors the opportunity to leisurely enjoy a kaleidoscope of innovative and visually striking artworks created in Brunei Darussalam. 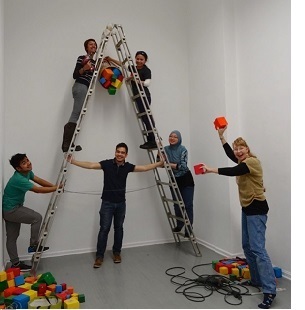 The 9-day exhibition at Bethanien Art Centre in Berlin, led by Dr. Martie Geiger-Ho and A/P Kong Ho, was installed by five selected ACT majoring students who served as the set-up team. The same five students were later invited by the Embassy of Brunei Darussalam in Germany to present some of their artworks at the Brunei Darussalam National Day Lunch in Berlin on 23 February 2015.